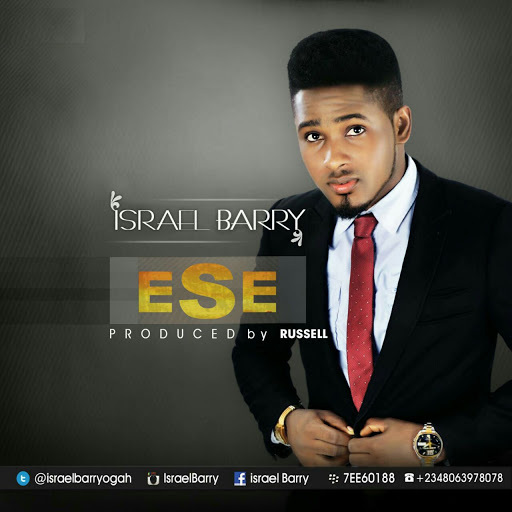 Fast rising gospel artist "Israel Barry" a singer with a rare vocal sound, Songwriter a performer and a worshipper. The song "Ese" which means thanks in yoruba, was born out of a thankful heart and set to get you rocking on the dance floor and He wants tell the whole world with this Masterpiece. He is a graduate of Ambrose Alli University with a BSc in Accounting and has a huge flare for business & advertising. He hails from Uromi Edo state, Nigeria.